The only good thing about this place is the slightly cheaper price! Apartament is well equipped. All equipment like plates, cuttlery are new and complete. Very kind staff always asked us if everything is fine. Room service every 3 days. Very close to the beach, just at the corner of the garden. Perfect pit stop for visiting Rethimno district. Very close to southern area of the isle (less than 50km). Great location, very clean and tidy unit and very nice staff. Had a great time. We were also fortunate to volunteer with the Arcelon Loggerhead Sea Turtle Hatchling Program helping them make their way to the sea after hatching just on the beach along from Akti Hotel...amazing spot. The gardens around the rooms were very lush with grass and palm trees. The facilities were good in the room. There are loungers in the garden. The cleaner was very nice. Great pit stop, very clean, keys waiting in the door for our arrival and a notice board telling us our room number as we arrived late. There were two white pet rabbits on the property which was entertaining! The hosts and accommodation where excellent. 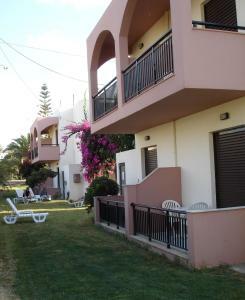 The rooms were kept clean and have a great layout with balcony`s to enjoy outside eating and entertainment. The property is situated in lovely kept gardens and walking distance to the beaches and bars/taverns. Everything and the bonus was having the beach at the end of the garden path. 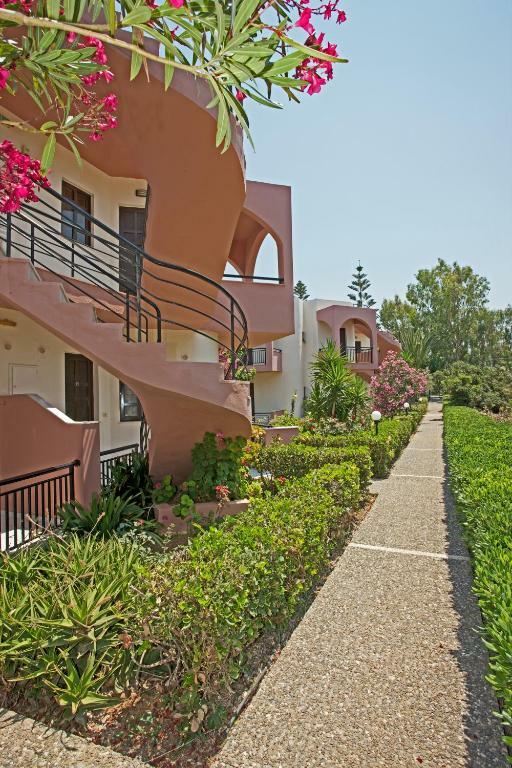 Lock in a great price for AKTI Apartments Rethymno – rated 8.3 by recent guests! One of our best sellers in Stavromenos! On the road to Rethymno, Bomo Akti Rethymno offers self-contained accommodations surrounded by evergreen gardens, 50 feet from the Cretan Sea. It features free Wi-Fi access and rooms with sea-view verandas. Air-conditioned studios and apartments at Bomo Akti Rethymno are equipped with a complete kitchenette with dining area. Each accommodations type also includes a TV set and private bathroom facilities. Guests can enjoy privacy and comfort preparing their own meals. They can also discover many characteristic Cretan eateries in central Rethymno, 6.8 mi away. Popular nearby attractions include Rethymno's Fortress and the Rimondi Fountain, both within a 10-minute drive from Bomo Akti Rethymno. Free parking is available nearby the property. 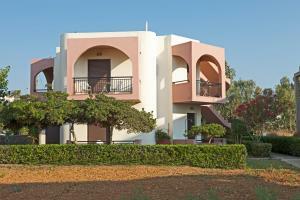 When would you like to stay at AKTI Apartments Rethymno? These air-conditioned studios have a view of the sea or the garden. Each has a spacious bedroom, bathroom with shower and a full kitchen with dining table. A crib can be added for an additional charge upon request. 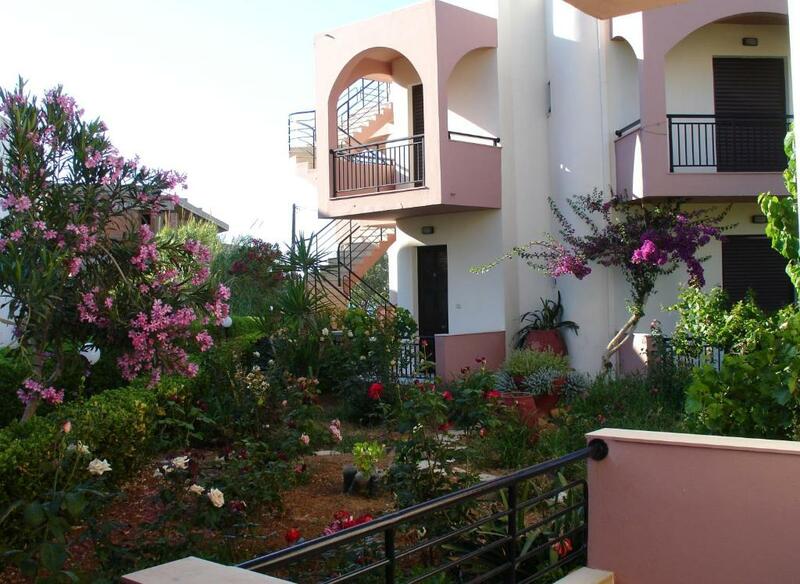 These spacious air-conditioned apartments have 2 bedrooms, each with its own bathroom. 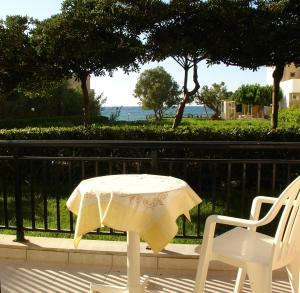 Both bedrooms have a view of the sea or the garden. The full kitchen includes a dining table. A crib can be added for an additional charge upon request. House Rules AKTI Apartments Rethymno takes special requests – add in the next step! 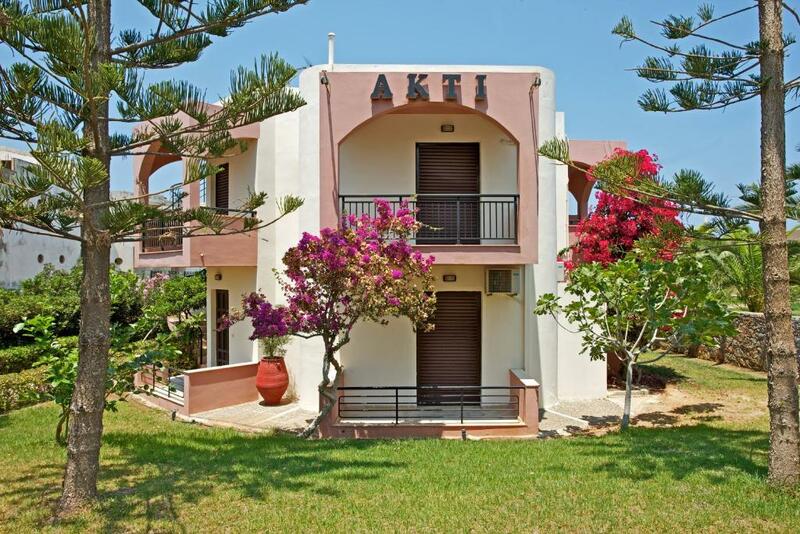 AKTI Apartments Rethymno accepts these cards and reserves the right to temporarily hold an amount prior to arrival. Please inform AKTI Apartments Rethymno of your expected arrival time in advance. You can use the Special Requests box when booking, or contact the property directly using the contact details in your confirmation. relaxing beds. 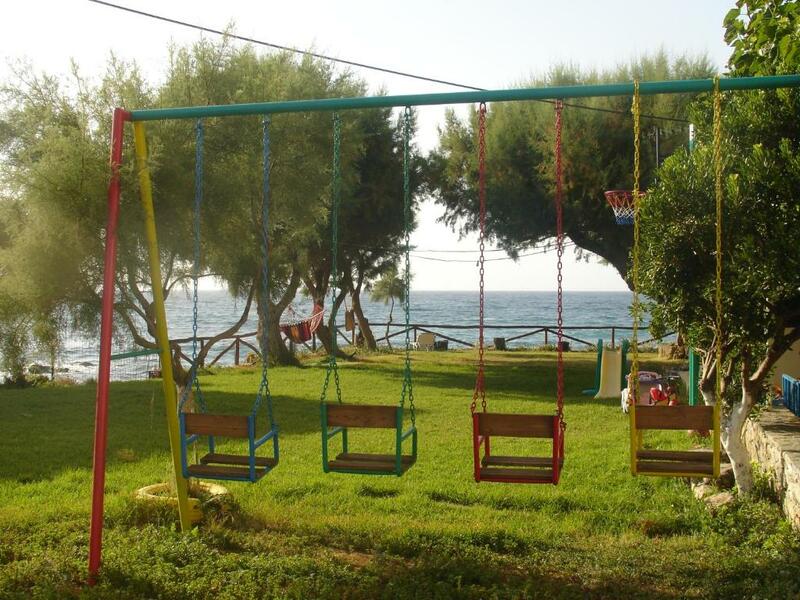 quiet place near to the sea. This place is being managed by the neighbouring hotel - Bomo Rethymno Beach, a 4 star hotel, but: - the staff is terrible, poor services, impolite altitude, and ignoring the customers from Alti. - check-in time was 2:00 pm, we arrived at 4:00 pm and were told the room is not ready for about 15 min. We waited till 4:30 pm and checked again and were asked by the staff to sit down and wait till the room service is finished with their work and will inform us when it is ready. Finally we were informed that it is ready at 5:00 pm. - the hotel is poorly maintained - the room was not completely cleaned, it had spider webs around the corners and with insufficient shampoo, body wash provided. There were bottle of hand wash bottle but was empty. There were insufficient cook ware nor enough silverware for cooking even though it claimed it has kitchen with cooktop. - one of the air conditioners was not working, we informed the hotel front desk and no one ever came and checked it out. - they claimed they have Wi-Fi but is not true or the signal is so weak that my iPhone can’t even detected it. Been here before but somehow didn't seem so comfortable...different rooms so maybe different beds ..harder then remembered. .also pillows much harder...as was now linked up with bomo hotels all attention seemed to be on new hotel workers next door to get it finished ..gardens were beautiful ..now going under neglect etc Also cleaners were different and it was hit and miss for cleaning had to tell manager about it..was so uncomfortable that moved to hotel next door for last 3 Nghts. ..which was 100%better in every way ..will be going back there next time.. Surrounding area is not very excitable. Stavromenos is a kind of suburbs of city Rethimno. The rooms furthest from the sea are within easy earshot of a busy main road. There is a large hotel complex under development next door which is noisy and dusty, this should be finished by 2018 season. It was quite difficult to find as the overgrowth hid the accommodation name. Room was big, bathroom very small . the view was great, the host were very nice and polite. As is the case with a lot of Crete there are buildings half erected or under construction but this is something we have got used to and did not spoil our stay. Nothing, we loved it all. Noisy road close by, but we got used to that after a while. Kitchen could do with a chopping board! Loved the nice garden around the apartment, and also the grassy area, next to the sea. Airconditioning in the bedrooms excellent. Each bedroom had its own bathroom. Terraces in every room a real treat. whole apartment very clean and we even had clean sheets and towels given to us, after just two days! Nice people looking after the apartment. 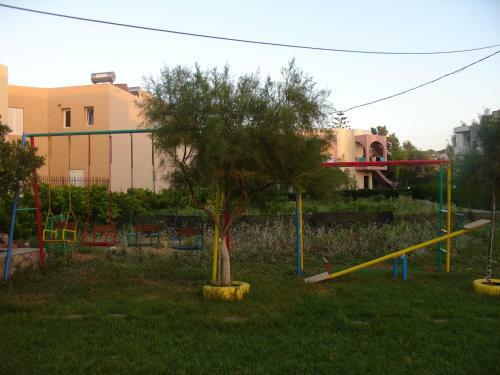 Some aspects were as in a 5 star accommodation, so it was real value for money.